Store brands are heating up as consumers demand private label products that compete with, or surpass, the quality of national brands. In recent years, retailers have started relying more heavily on their private label programs, but the exceptional companies behind the labels are what really drive the success of these programs. Store brand products were once perceived as items that were meant for consumers looking to pinch pennies, but today’s shoppers are demanding private label programs that offer them savings on products that meet their high-quality standards. When mom picks up a bottle of store brand cough syrup for her ailing child, she expects to save a few dollars on a product that will hold up to the popular brand name version. If she brings that product home and notices her child is coughing again an hour later, more than likely that will be the last time she buys that store brand cough syrup. The quality of products in a private label program also has a significant impact on a retailer’s reputation. Those that promise consumers only the best products will avoid getting left behind in the dust as the private label industry evolves. Consumer trends are just as important in developing private label as they are for national brands, and many modern private label companies are even striving to innovate ahead of the well-known national brands. Steve Corsun, president of Premier Brands of America, says their strategy is no longer to follow in the footsteps of national brands, but rather to find its own voice on retail shelves. Offering store brand products that are unique, or more difficult to find, could keep consumers coming back for more, and might even draw in some new shoppers as consumers recommend these products (and where to find them) to family, friends and colleagues. This strategy is particularly important as Millennials continue to enter the grocery-shopping scene. A recent study by New York-based Private Label Manufacturers Association found Millennials are more loyal to their stores of choice than their parents were, and nine out of 10 do their daily grocery shopping in only one or two stores. Millennials are also well informed about where specific brands (including store brands) and foods come from, and are not shy about picking up an item and studying its label. Millennials’ awareness of store brands and national brands is almost equal, at 84 percent and 86 percent, respectively. One of the most important qualities that many modern consumers, Millennial and other generations alike, look for in their products is better-for-you labels, such as “natural” and “organic,” industry observers say, and private label is no exception. This demand has been reflected in the changes a number of retailers have made in their private label programs over the past year. For example, Tops Friendly Markets created new store brand packaging that highlights qualities such as cleaner ingredients, and H-E-B recently launched its Select Ingredients line, which eliminates more than 200 synthetic ingredients. “The trend toward naturally derived products continues to grow, in fact 64 percent of consumers claimed that natural ingredients is a top driver in their purchase decision,” says Greg Fries, vice president of marketing for Guy & O’Neill. Renee Hicks, director of private brands for the Fremont Co. agrees, saying retailers can profit from focusing on the better-for-you attributes consumers are looking for when designing their private label programs. “Key growth will come from the retailers that are promoting and highlighting organic products in their stores with support from companies like ourselves and other manufacturers of private brands,” Hicks says. The growing success of store brands is also reflected in the numbers; in 2016 sales surpassed $118 billion annually, according to latest industry data, and the PLMA show turned out an all-time record total of 2,820 exhibit booths from 1,409 companies. According to PLMA’s 2016 Private Label Yearbook, annual sales in private label were up five percent, or $5.4 billion. 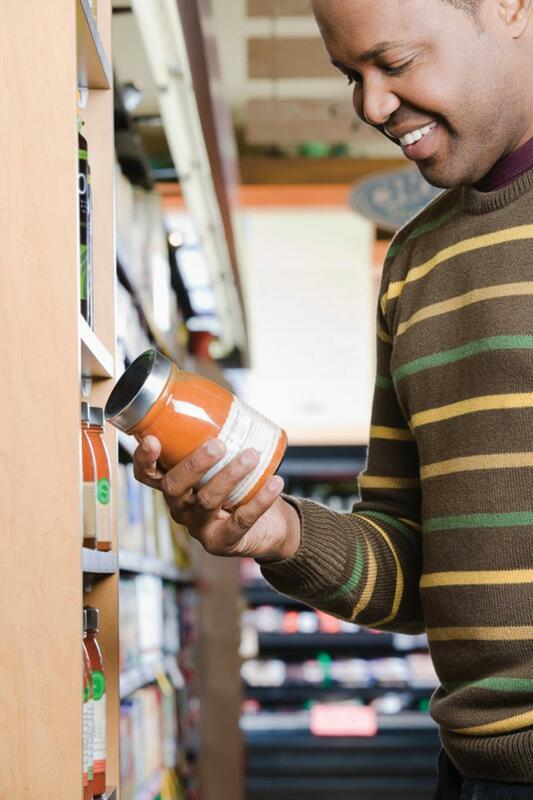 The future of private label programs looks bright as the industry continues to successfully evolve to meet consumers’ wants and needs. In this year’s Private Label Trailblazer Awards, Grocery Headquarters honors the industry leaders driving the store brand boom. For flavor and fragrance creator Arylessence, the focus is on helping store brands take control of the fragrance and flavor ingredients in their products. “Collaborating with retail product development teams and marketers, we create winning fragrances and distinctive flavors that create a point of difference, attract the interest of consumers, encourage repeat purchase and establish product loyalty in a highly competitive environment,” says Lori Miller Burns, director of marketing relations and communications for the Marietta, Ga.-based company. Arylessence works in close partnership with leading grocers, retailers, and their product development teams to assist with selecting winning fragrances and flavors that will keep their store brands competitive. The company helps retailers position their brands to outperform national brands, through what Arylessence officials say are the key emotional consumer connections—fragrance and flavor. “It is the scents and tastes that capture the emotional power of the product, proactively enhance the product’s performance and exceed the consumer’s expectations. This is what our perfumers and flavorists help retailers achieve,” adds Miller Burns. Bektrom Foods is a GFSI certified dry grocery manufacturer that offers more than 400 SKUs. The Monroe, Mich.-based company is known for making its own pasta, as well as a variety of baking mixes and spices. Additionally, Bektrom Foods produces pancake mixes, grits and oats, pasta entrées, deluxe sides, spice shakers and grinders, salt and pepper, skillet dinners, rice and pasta sides, and stuffing. Bektrom also has its own line of products under the Loretta & Cayleys Kitchen brand name. Bektrom Foods offers its retailers a variety of options for producing their private labels products, including: pouched, bag-in-box, canisters, glass bottles, plastic bottles and foil side pouches. The recipe files for Bektrom are extensive, and offer a number of tiers for the type of end-product the retailers are looking for, whether it be price-driven or premium level quality. “The R&D team at Bektrom is always ready to work with our customers to offer innovation for any category they are looking to introduce into their stores,” says Tom Barbella, president. With the recent addition of high-speed manufacturing lines in its 400,000 square-feet of warehouse and manufacturing facilities, Bektrom is able to offer even more capacity to its retailers. Berner Food and Beverage is a leading private label supplier of quality food and beverage products to a majority of the top retail chains across all trade channels. The Dakota, Ill.-based company provides a single source of supply for both store brand products and contract manufacturing. For more than 72 years, the family-owned and operated company has built a reputation for excellence in crafting premium products. Their corporate-wide commitment to the private label industry has earned them the recognition of being a leading producer of private label aerosol cheese, jar cheese, retort salsa con queso and shelf stable dips, retort Alfredo sauces, retort iced latte and coffee energy beverages. Berner facilities are USDA approved, SQF2000 Level 3, HACCP certified, and meet the demanding standards of virtually every major retailer in North America. Big Time Products is a leading supplier of hand protection to retailers. The company’s lineup includes seasonal/garden gloves, hardware work gloves, automotive gloves, household/heavy duty cleaning gloves, painting gloves and more. The Rome, Ga.-based company also offers a full range of umbrellas. “Big Time Products utilizes the best features and benefits of the product line, adds in excellent customer service, dynamic packaging and promotional planning to develop a winning strategies for store brand programs,” Stapleton says. With its 21 manufacturing and conversion plants in North America, Cascades Tissue Group, based in Eau Claire Wis., is able to produce, convert and market a full range of retail tissue products, such as paper towels, bathroom tissue, napkins and facial tissue. Whether demand is for 100 percent recycled fibers, virgin conventional paper or TAD quality, its private label products are developed to meet the expectations and needs of its retailers, says Mylène Boucher, marketing director, consumer products, North America. Cascades is also known for its strong environmental practices. It offers a complete range of products that are made from recycled fibers and certified by third parties including: UL/EcoLogo and FSC. In addition to being compostable and biodegradable, environmentally friendly Cascades products are made with less water than the industry average. Catania Oils Corp. is a family-owned business that has been around for more than 100 years—passed down through four generations. Its mission is to provide innovative quality products to customers in an efficient, economic and environmentally responsible manner. The Ayer, Mass.-based company offers a full line of oils in an assortment of sizes, as well as a variety of packaging materials, ranging from portion control packets to 48,000-pound tank wagons. Catania is SQF Certified, and a member of the North American Olive Oil Association, the Non-GMO project and American Fats and Oils Association. In 2016, the company implemented National Brand Equivalent PET olive oil bottles in an assortment of sizes. The bottles are easy to grip, made of recyclable PET plastic and are easy open with twist-off safety seal caps. The bottles are now available in 250-milliliter, 500-milliliter, 750-milliliter and 1-liter sizes. “We recognize that consumers will routinely choose a private label product if the packaging looks similar to the leading national brand. Our new retail olive oil bottles were created to offer consumers that choice,” Coleman says. Chase Products Co. manufactures, or has formulas available for more than 1,200 products, including national brand-equivalent consumer aerosol products, such as disinfectants, furniture polish, bathroom cleaner, air fresheners, oven cleaner, carpet cleaner, spray starch, all-purpose cleaner, insecticides, insect repellant, shave creams, hair spray and sunless tanning spray. Chase Products’ latest innovation is a consumer value line of products such as disinfectant, furniture polish, starch and household cleaners under the CHASE’S HOME VALUE brand. The Broadview, Ill.-based company is also known for producing a full line of CHAMPION SPRAYON Professional Institutional & Industrial cleaners, insecticides, air care and maintenance products. Its paint and coatings offerings include all-purpose enamels and inverted field and marking paints. Chase’s seasonal products include its SANTASnow (national brand spray snow) along with several other holiday decorating and craft products. All of Chase’s products are manufactured in the U.S.
With a heritage dating back to the mid 1960s, Clearwater Paper Corp. has pioneered product offerings that have supported increased private brand penetration with customers in key markets across the U.S. The Spokane, Wash.-based company’s portfolio includes innovative offerings such as the launch of leading national brand comparable quality products in the mid-1990s, Through-Air-Dried (TAD) paper towels in 2004 and TAD bath tissue in 2013. Clearwater is a dedicated supplier of private brand tissue with a footprint of production facilities across the U.S., providing products for all quality tiers of bath and facial tissue, paper towels and napkins. Understanding the importance of environmental sustainability, Clearwater began offering FSC-certified (Forest Stewardship Council) tissue products in 2010. Distant Lands Coffee’s legacy began with coffee farmers back in 1968. The company planted its first coffee tree in Costa Rica with a singular vision—to conscientiously produce superior quality coffee in a manner that enriches the land and the quality of life for workers on its farms, company officials say. Today, the Renton, Wash.-based company’s coffees are recognized by experts to be among the best in the world. Its business has evolved and grown over the years from a single coffee farming and milling operation into a one-of-a-kind vertically integrated specialty coffee business. Distant Lands operates a continuously linked global supply chain that includes owned and partner coffee farms and mills, green coffee sourcing, roasting, packaging and distribution of premium Arabica coffees. “We remain committed to our legacy of earth-friendly coffee growing and milling and the creation of sustainable livelihoods and thriving communities,” says Russ Kramer, executive vice president and CMO. “We maintain close visibility and quality control throughout all steps of the supply chain, which enables Distant Lands to deliver superior quality and consistency with each and every lot of coffee. The Fremont Co. has been manufacturing quality ketchup for more than 90 years. Its specialized ketchup manufacturing plant, operation and staff strive to manufacture the most consistent and highest quality private brand ketchup with the utmost level of customer service, company officials say. Fremont ketchup is made with 100 percent California-grown tomato varieties specifically grown to make ketchup, just like the leading brand, and offer “better-for-you” and/or specialty ketchup formulations to meet consumers’ lifestyle choices. Fremont ketchup is packed in Open Front Display Ready Cases every day to generate incremental in-store sales and labor savings during any sale or promotion. The Fremont, Ohio-based company’s forward warehouse network creates significant retailer logistical convenience and savings for customers to pick up regionally what they need, when they need it. In offering consumers gourmet-nostalgic products like cheddar biscuits, cornbread and garlic knots, Furlani’s Food Corp. provides products that feature real ingredients, like butter and cheese. These products are approachable, comforting and always a value, say officials with the Mississauga, Ont., Canada-based company. Officials add that the company caters to trends, not fads, and continues to produce a complete range of core items such as garlic toast, breadsticks and garlic loaves. Furlani’s focuses on subtle quality improvements and manufacturing efficiencies in order provide multi-dimensional value. Furlani’s R&D department offers its partners the ability to explore new avenues in baking innovation. It also offers an archive of fully developed exploratory products that can be customized and/or commercialized upon request. The expansion to a state-of-the-art, vertically integrated 250,000 square foot manufacturing facility has allowed Furlani’s to run all of its products in one space for optimal efficency, consistency and logistical synergies. This manufacturing focus enables it to be the industry’s lowest-cost producer that offers high-quality products. Furlani’s provides assistance in assortment, promotions and branding. It also provides display-ready packaging solutions and can help retailers develop new packaging designs. Neuman says traceable, efficacious olive oil is trending, and will continue to trend into the distant future, adding that Millennials and Generation Zers find truth in labeling to be vastly important and want to know where their food comes from. Since opening in 1896, Germantown, Wis.-based Gehl Foods has grown to be among the nation’s most advanced low-acid aseptic dairy processors. “Gehl Foods creates dairy products that safely feed our future—that is something we do not take lightly,” says Cathie Petak, director of marketing. Gehl’s advanced aseptic manufacturing process produces some of the freshest tasting, shelf-stable, ready-to-serve products available. The Gehl Foods product portfolio includes ready-to-drink nutritional shakes, shelf stable milks and creamers and a wide variety of cheese sauces. Global Tissue Group (GTG) has fostered a reputation for providing value for its retailers as their private label paper manufacturer for bath tissue, facial tissue, napkins and paper towels. The Medford, N.Y.-based company is one of the few in the industry to provide three levels of paper quality: standard, premium and ultra-premium. It is committed to providing the highest standards and quality in everything it does. Guy & O’Neill is a leading manufacturer of wet wipes in categories across the aisles. It specializes in disinfecting wipes, facial wipes, hand sanitizing and anti-bacterial wipes and bath wipes. The Fredonia, Wis.-based company also offers FDA regulated products including personal lubricants. The company focuses on making an effort to source as many of its components domestically as possible. In 2017, Guy & O’Neill launched its Evoke brand of personal lubricants. The lubricant scored a 10 of 10 in National Brand Equivalent Testing compared to both KY and Astroglide, say company officials. All of Guy & O’Neill’s facilities are EPA and FDA registered for both OTC pharmaceuticals and medical devices. Ice River Springs is a leading innovator in environmental sustainability while providing consumers with better-for-you products. The Shelburne, Ont., Canada-based company packages spring water, purified water and distilled water in bottle sizes ranging from 250-mililiters to 15-liters in a variety of single units and multipacks, from six to 40. Ice River Springs operates a closed-loop system; which means it has in-house plastic recycling facilities and complete vertical integration from water source to bottle and cap manufacturing, producing 100 percent recycled PET bottles. Ice River Springs also has an in-house plastics recycling facility that takes in baled, post-consumer plastic from municipality recycling centers, purifying and transforming the PET plastic into brand new bottles. Since Ice River strives for zero plastic going to landfills, it launched Ice River Green bottled water. Gott stresses that the company does not add coloring or dye to the bottles to make them look environmental, but rather they are green because they are recycled from colored bottles. JJ’s Bakery, a brand of JTM Foods, produces a full line of fresh, 4-ounce pies and other sweet treats at its 80,000-square-foot, nut-free, kosher parve facility in Erie, Pa. The company recently added new platforms, which has helped move the pie category forward, including a full line of flavorful 2-ounce pies and a line of on-trend, 100 calorie 1-ounce Mini Pie Bites. “What sets JJ’s Bakery apart from the competition is dedication to innovation. From the ‘Pie in a Box’ concept for increased merchandising efficiency, eye-catching graphics on packaging for increased visibility and shippers to conveniently carry a wide variety of everyday flavors, their hand-held snack pies help grow sales and add value to customers,” says Chris Tirone, director of marketing. JJ’s pies are made fresh daily with real fruit, can be shipped frozen or fresh, and the company is dedicated to removing all artificial flavors and colors from its pies in 2017. Everyday flavors include: apple, cherry, blackberry, peach, lemon, chocolate, banana cream, strawberry cream and Boston cream. For 2017, JJ’s Bakery is introducing eight limited-edition flavors throughout the year to drive interest to the pie category and keep customers buying time and time again. The flavors are driven by consumer want and provide flavors the market does not have, company officials say. These flavors include: caramel frappe, chocolate mocha, birthday cake, coconut cream, blueberry, raspberry and caramel apple. Massimo Zanetti Beverage (MZB), with a four-generation legacy of field-to-cup creation of some of the world’s finest coffees, helps its retailers make the coffee aisle a destination experience for true coffee lovers. Today’s consumers are consciously seeking out products made with sustainability in mind, says Clay Dockery, vice president of corporate brands, and Massimo is leading the industry with certified 100 percent commercially compostable single-serve coffee pods. MZB’s PURPOD100 is made from more than 90 percent renewable resources, including bioplastics and the coffee itself. The ring of the pod is made partially from coffee chaff—the skin of the coffee bean that comes off during the roasting process. The pods are certified by the Biodegradable Products Institute (BPI) to completely break down in commercial composting facilities, returning valuable nutrients to the soil. Since its founding in 1974, Masters Gallery Foods has grown to service many of the nation’s grocery chains, wholesalers, restaurants, and distributors with a full line of private brand cheese and cheese-related products. Based in Plymouth, Wis., Masters Gallery Foods promotes a culture that encourages sustainability, creativity and customer satisfaction. Masters Gallery utilizes consumer trends, its in-house creative team and dedicated R&D personnel to quickly get products to market. “The growth and success of the private brand cheese segment is dependent upon our ability to exceed our customer’s expectations with regard to quality, service and innovation,” says Gentine. Mizkan America is a subsidiary of the Mizkan Group, a global, family-owned company. As makers of vinegar since 1804, the Prospect, Ill.-based company boasts two centuries of vinegar expertise. Mizkan also has an unwavering dedication to customer service. Perfect order completion rates are the first priority for all Mizkan production facilities and distribution warehouses. Mother Parkers Tea & Coffee, which has been family-owned for more than a century, focuses on more than just producing great-tasting beverages; it is also committed to sustainability initiatives that start in the countries of origin, where coffee beans and tea leaves are sourced, and continues through to its vertically integrated manufacturing and distribution systems. One of the Canadian-based company’s (with U.S. headquarters in Fort Worth, Texas) initiatives is the Water Wise Coffee program, a partnership that works to improve the lives, ecology and economies of coffee-growing communities by addressing water-related issues. Mother Parkers also launched the innovative EcoCup capsule for single-serve coffee and tea brands that offers both great taste and less waste. The recyclable capsule generates less waste than conventional non-recyclable capsules because of the ease with which consumers can separate the plastic cup from the foil lid and the used filter and contents, directing each part to its designated recycling stream and diverting more waste from landfill. The EcoCup brand of single-serve capsules also delivers superior taste with more aroma and mouth-feel, thanks to the patented FlavorMax filter that allows more essential elements of the coffee and tea to reach the cup. Premier Brands of America is a world-class manufacturer and packager with state-of-the-art facilities. The company is dedicated to ongoing investment in innovation to reach its goals of continuously providing high-quality store brand and branded products that meet the evolving consumer desire for health and wellness. From concept and formula, to packaging design and manufacturing, Premier Brands of America offers full service, comprehensive turn-key solutions to its retailers. The Mt. Vernon, N.Y.-based company’s customers include the largest food, drug and mass retail chains across the U.S. and Canada. The company provides full-scale design services and manufacturing of private label and branded goods, while maintaining quality innovation and value. The company offers more than 150 items that can be custom produced for the store brand. That includes a wide variety of insoles, including gel, odor control and memory foam insoles. The foot care lineup continues with cushions, padding, powders and removers. Other products include both liquid and non-liquid methods for the safe removal of common warts, nail fungus, calluses, corns and bunions. In addition, the company manufactures items that protect feet from pain and pressure. Premier Brands is also continuing to seek out new categories and expansion possibilities. The company launched a line of foot care products licensed under the Arm & Hammer brand this past spring. The company also addresses the first aid category with such products as sterile saline wound wash, medicated first aid spray, burn relief spray with aloe and liquid bandages. Red Gold is a producer of private brand tomato products and has been in business since 1942. Red Gold offers many different traditional and organic tomato products that can ship on one truck including: canned tomatoes, tomato sauce/paste, ketchup, pasta sauce, salsa, vegetable juice, seafood/chili sauce, taco sauce, pizza sauce, sloppy Joe sauce and enchilada sauce. Some of these improvements include formulating products with only the sodium level needed to taste good and not adding unneeded sugars and Red Gold’s new line of Organic Pasta Sauce, Salsa and Better Balanced Ketchup. The Elwood, Ind.-based company’s manufacturing capabilities include SQF Level 3 Certification, OU Kosher status and a USDA Organic program. Red Gold offers products that are sustainably produced, made with non-GMO ingredients and packaged in BPA non-Intent can linings. Request Foods is a leading co-packer of frozen prepared entrées, side dishes and specialty items. It has two world-class manufacturing facilities located in Holland, Mich. that are equipped with a wide range of state–of–the–art processing equipment, and its single-source capabilities begin in three modern test kitchens. Request Foods’ co-packing facilities are GFSI Certified under the BRC scheme. Better quality is one more assurance that Request Foods products are produced, processed, prepared and handled according to the highest safety standards. Its extensive production capabilities allow it to package its retailers’ products in a wide variety of ways, from single-serve containers, up to 6-pound pans, pouches and skillet meals. SatisPie custom manufactures frozen, ready-to-bake and prebaked thaw-and-serve dessert pies under private label for retailers in the U.S. and Canada. SatisPie’s products do not contain artificial ingredients, gums, colors or fillers and utilize only pure cane sugar. The company’s low corporate overhead allows it to aggressively price products into its retailers’ distribution channels and maintain above national brand quality. SatisPie’s facility is BRC-certified and received an AA rating. Seneca Foods was founded in 1949 in New York and has grown to source products from more than 2,000 farms across the country. A provider of packaged fruits and vegetables, the company, now based in Marion, N.Y., has facilities located throughout the U.S. The recent acquisition of two domestic cherry companies has broadened the wide variety of fruit and vegetable offerings. Seneca is a leader in innovation having recently launched prepped shelf-stable vegetables in both 4- and 7-ounce microwaveable plastic cups. The company’s lineup features a full assortment of vegetables lightly seasoned with sea salt. “The goal is to make it easier for consumers to find healthy, convenient food items in the center store,” company officials say. The company also introduced store brand pumpkin pie mix, to capitalize on the popularity of pumpkin in recent years. Organic vegetables are also a key focus for Seneca Foods—in response to the growing consumer interest and demand, according to company officials. Rooted in tradition and built with a strategic vision, TreeHouse Foods provides private label food and beverage offerings to retail grocery customers across North America. In February 2016, the Oak Brook, Ill.-based company welcomed its latest addition to its TreeHouse lineup—TreeHouse Private Brands (formerly the ConAgra Private Brands business). TreeHouse’s branches extend across multiple product categories providing custom solutions in its growing product portfolio including: baked goods, beverages and beverage enhancers, condiments, and healthy snacks and meals. Customers can expect comprehensive flavor profiles including natural, organic and preservative-free ingredients in many categories and packaging formats. TreeHouse boasts a dedicated team and significant investment in the most comprehensive data sources available to its retailers. This level of analytic expertise allows the company to present the most relevant and impactful insights that lead to unparalleled solutions. Trilliant is a rapidly growing, vertically integrated, high-quality manufacturer in the coffee and powdered beverage categories. The Little Chute, Wis.-based company is known for its innovative solutions and its drive to deliver value, speed-to-market, and quality for its customers. Trilliant’s latest Nespresso Brewers enable the creation of a latte or cappuccino at the touch of a button at home. The company’s new Café Turino Nespresso-compatible capsules can now deliver coffeehouse drinks at a fraction of the cost; it also provides a significant value when compared to other espresso capsules. Café Turino utilizes a unique patented capsule that ensures consistent high quality product delivery and is available in several profiles and sizes. Over the past 20 years, U.S. Alliance Paper has grown into one of the nation’s largest private label manufacturers of household paper products by consistently delivering on its founding principles: quality, flexibility and reliability. U.S. Nonwovens Corp. (USN) is a pharma-led producer of premium health, personal and cosmetic products. Managed as an OTC pharma producer, quality and control is the primary focal point of all 800 employees and six U.S. FDA and EPA compliant facilities.